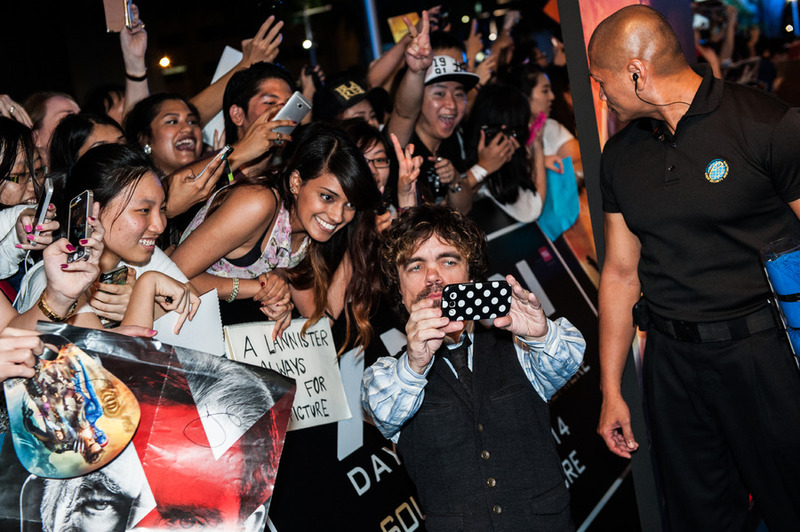 One of the best things I’ve experienced this year was going to Singapore and meeting Peter Dinklage, Hugh Jackman and Fan Bingbing at the X-Men: Days Of Future Past press junket in Singapore, 14-15 May 2014. I was there to cover the blue carpet event, as well as watch and review the movie, and participate in face-to-face interviews. Now, those interviews will be published in the magazine, and they are riddled with spoilers, so I’m not going to write them here and spoil them for you. (Both Dinklage and Jackman implored us journalists not to write any spoilers so I’m partly respecting their wishes and partly not being a jerk in general.) However, there are some key highlights from my conversation with Peter Dinklage that may be of interest to some people so I’m putting them here. These highlights are, of course, non-spoilery about DOFP because what do you know? It’s about Game Of Thrones. Funnily enough, I steered clear from any GoT-related topics (it was in the brief that was given to us by the studio: “please do not ask questions related to any other film/TV series outside of X-Men: Days Of Future Past”.) Nobody is expected to obey that rule fully, but in the case of Mr. Dinklage, I didn’t even have to bring it up myself before the great actor himself dropped the series’ name into conversation. As he said, “I only speak about that because I have more history with it.” Far be it from me to stop him from speaking about it. I even managed to ‘connect’ another one of my interviews to him. I did a phoner with Sophie Turner a while ago, in which the young Miss Turner practically shipped Tyrion and Sansa. So I mentioned this to Mr. Dinklage and got a great answer from him! It really doesn’t matter what movie you’re promoting – Game Of Thrones will win and it will not die. Was that your real hair in X-Men: Days Of Future Past? Yes, it was. It’s all me with a lot of product. i do that TV show, Game Of Thrones, where my character has longer hair. I can’t grow it back fast enough for the next season so I keep it long while we’re doing that TV show until anything changes. I walked up to the make-up and hair trailer of the X-Men movie and they were, like, “Perfect! We’re just gonna go…” and they went crazy with it. They made it look quite ’70s. There was a hard turtle shell on top of my head with that amount of product.